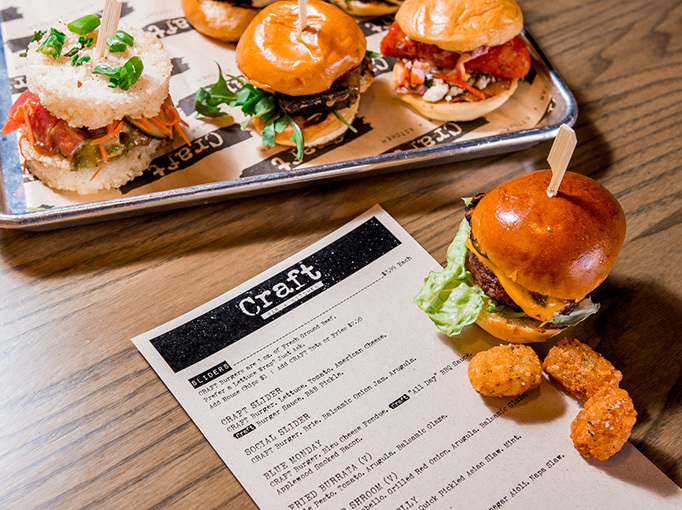 The grunge aesthetic may have come and gone but a bar with killer-looking burgers is still a good place to break out the distressed Courier and Dymo label font. 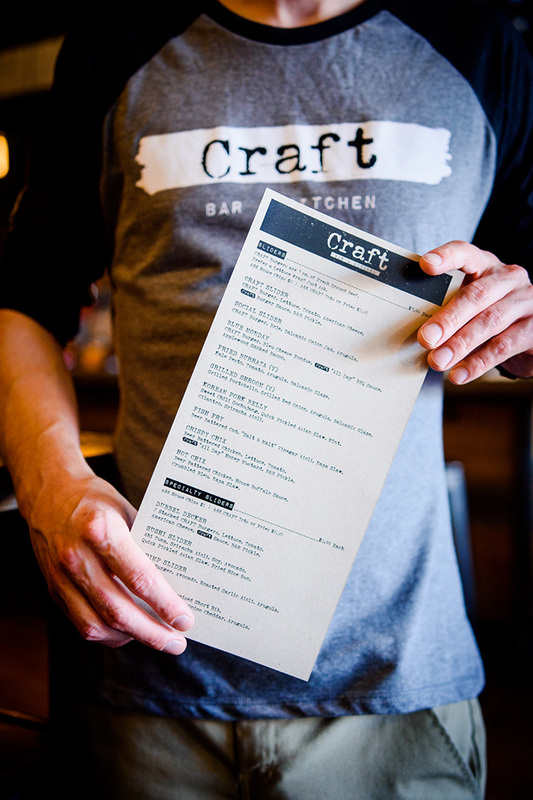 Good hierarchy and a clean layout make for a good pairing with the grungy type. 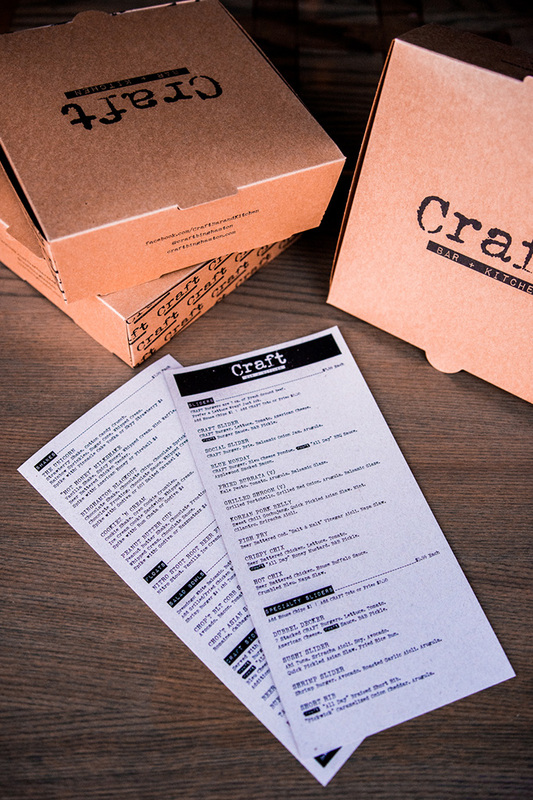 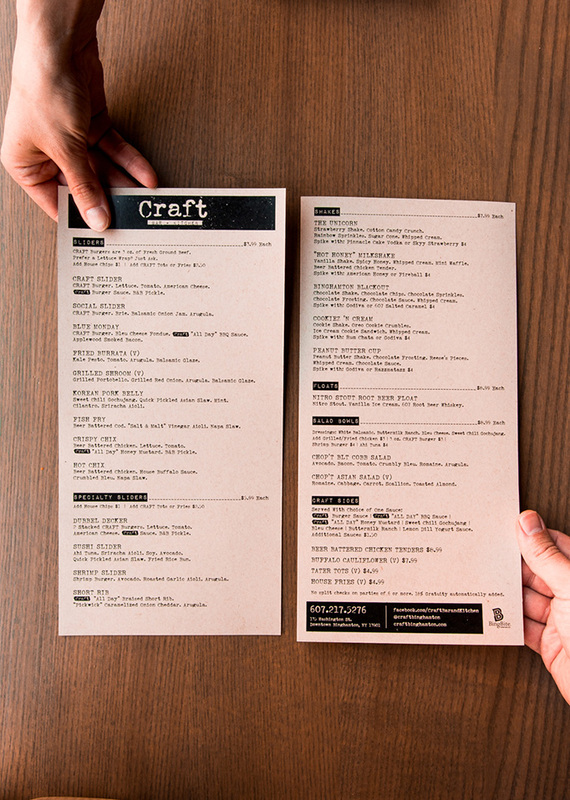 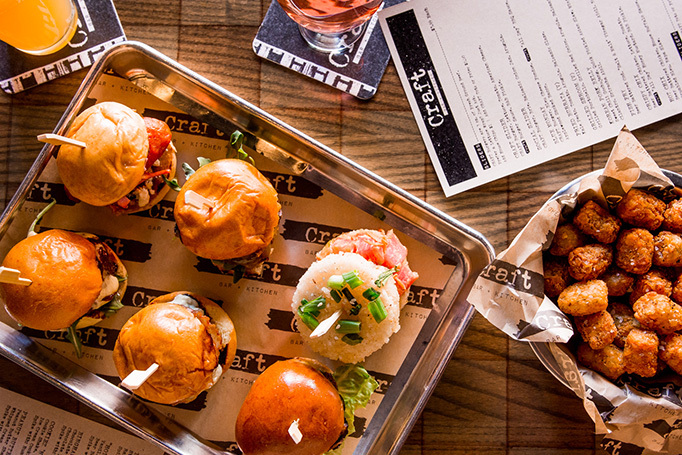 Visit Craft Bar + Kitchen .